Gerber Edge, Black Rubber Handle. 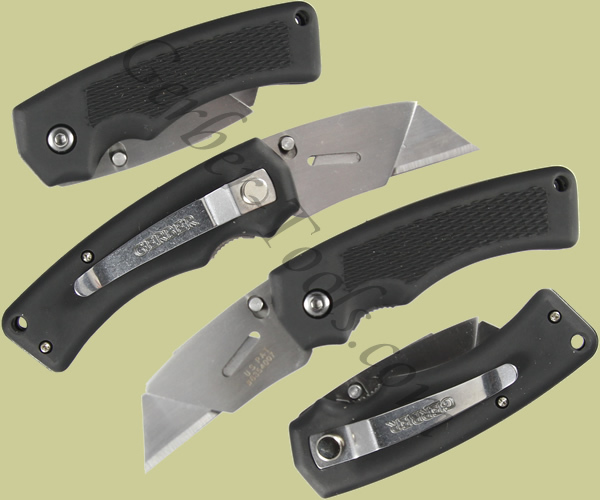 The folks at Gerber have kicked the Edge utility knife up a notch with the Edge Tachide Utility Knife model 31-000668. It offers all of the strength and dependability expected from the Edge series with the superior gripping capability of a TacHide handle. Quick, safe standard or contractor blade replacement is afforded with the integrated spring lock. Carry it with the included pocket clip, and the Edge TacHide Utility Knife will always be ready when needed.